– Scott Mowry will be back on the Medium in Our Midst radio show on Wednesday, September 12, 2012 at 7 PM EST / 4 PM PST. As humanity hurtles headlong through the amazing year of 2012, many major milestones and significant signposts are clearly indicating we are on a path that will ultimately transform the entire human race along with planet Earth into the long awaited Golden Age. These milestones are unfolding at a faster and faster rate, proving beyond a shadow of a doubt, humanity is in a highly accelerated state of evolution. Not only year to year, but at this point, day to day –– soon to become hour to hour, minute to minute and ultimately, moment to moment. Many are looking to the date of December 21, 2012 which they have assumed will mark the prophetic end of the Mayan calendar and thus produce a great shift effecting the whole of the human race. Yet, it is important to recognize there are over twenty different Mayan calendars known to exist, with likely many more still to be discovered, or sadly have been long destroyed. The Mayans were masters in understanding the movement of time and human evolution. They were also brilliant mathematicians, astronomers and astrologers. As a culture and as a species, they were on par with the greatest peoples to ever inhabit the planet including the ancient Egyptians and Indians. Perhaps one of the most important Mayan calendars thus far found is what is known as the Tun calendar, which was less concerned with the flow of time and more focused on the march of human evolution. Where we stand now, in August 2012, we have already fulfilled all the conditions of this particular calendar. The Tun calendar, brilliantly deciphered by Dr. Carl Johan Calleman, a Swedish microbiologist and author of four books on the subject, identifies nine distinct levels of consciousness –– nine being the vitally significant number within numerology representing completion. The Tun calendar essentially begins at the moment God contemplated the experience of separation. Or in other words, when the universe exploded spreading matter far and wide, which within the scientific realm is know as the Big Bang Theory. According to the Mayans, that event occurred some 16.4 billion years ago –– a time much longer than mainstream scientists are willing to admit. Thus, the Tun calendar tells us after 16.4 billion years of evolution we completed all nine levels of consciousness on October 28, 2011, a date which was only recognized for its significance in remote areas of the world. Essentially, on October 28th, humanity began its prescient transition from the age of ignorance into the Age of Enlightenment, or, at the very initial stages of the Golden Age, which will fully unfold over the next 100 years. In the modern era, the Oneness University in Southern India has picked up the mantle from the Mayans and has been carefully documenting the flow of consciousness on the planet, particularly through the years 2011 and into 2012. They have gone on record boldly predicting by the end of 2012, we would reach the critical mass number of 70,000 awakened people, a number that would assure a great shift of consciousness will occur for all the people of Earth into the Golden Age. However, it now appears humanity is moving much, much faster than had originally been anticipated. At the beginning of the year 2012, there were approximately 30,000 officially recognized awakened people to be found on planet Earth. By June 21st that figure had reached 40,000 and on July 21st, it stood at 54,000. Now, as of August 21, 2012, the Oneness University has officially reported there are 71,000 awakened beings on the planet –– an absolutely astonishing number to found at this point of the year! What all of these figures mean is we are more than four full months ahead of schedule indicating human evolution is moving so rapidly now, we can expect many, many more amazing developments to unfold at an ever increasing rates. The reason 70,000 is such an important number is that it represents .001 percent of the current world population. For every one person who becomes awakened, they in-turn affect 100,000 others around them. Current world population estimates are approximately 7,037,775,084 people residing on the planet and expanding very rapidly. Therefore, if we do the math: 71,000 x 100,000 = 7,100,000,000 (7.1 billion) which represents the series of magical numbers necessary to affect each and every person living on planet Earth at this time. 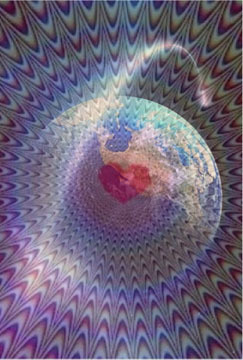 Further, we can roughly estimate that by September 21, 2012, there may be well over 90,000 awakened people on the planet. And by December 21, 2012, there may likely be well over 170,000!! In essence, by the end of 2012, we may have over twice as many awakened people on planet Earth as has been initially speculated by the Oneness University –– an absolutely amazing feat in and of itself! Many have wondered how the Oneness University arrives at these numbers each month? Apparently, there is a group of Oneness monks living at the University who are able to identify the awakened people around the planet because they are already in very high states of awakened consciousness themselves. 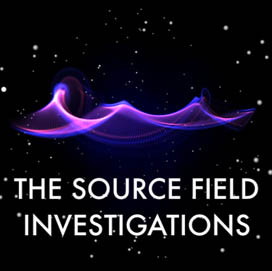 By connecting to the Divine and tapping into the morphogenic or information field surrounding the Earth, they are able to precisely determine these numbers. "Just like you can go to Google and ask how many pages are on the internet, you can also go to the Divine and ask how many awakened beings are on our planet," stated Doug Bentley, a Oneness monk from America and spokesman for the Oneness University. "We have our Oneness Beings go into a very deep state and ask the Divine these questions. This is how we attain a very accurate number, etc.," he added. These awakened people can be found in all corners of the globe with a large percentage located within the indigenous or Third World countries. The majority can be found right in the country of India which number over 10,000 alone. China, Africa, Russia and South America are other parts of the globe which contain many more awakened beings. The United States, on the other hand, encompasses a relatively low number of these type of people at the present time although that too is rapidly changing. WHAT IS AWAKENING AND WHAT IS ENLIGHTENMENT? Those who have achieved an awakened state of consciousness experience a profound shift within their inner being, often accompanied by a physiological transformation within the brain. Basically, the awakened person begins to come to the profound understanding they are not separate from, but rather, intimately connected to everyone and everything around them. Thus, the change of consciousness within them transforms from one of duality (or separation) to one of unity (or unified) consciousness. In an awakened state of consciousness, the brain begins to meld together as one, unifying the two hemispheres together into a whole –– thereby attaining a state of oneness. In this heightened state of consciousness, one can almost instantaneously experience a feeling of deep bliss by merely closing the eyes and going within. Many ascended masters such as Buddha, Mohammed, Jesus (or Yeshua) and others have explained and then taught this state of consciousness to their followers. 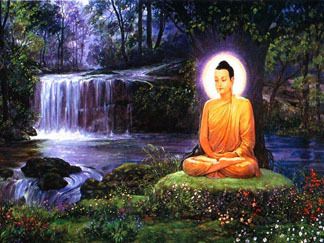 In Buddhism, this state is known as "nirvana". Nirvana is an ancient Sanskrit word used in Indian religions to describe the profound peace of mind acquired with what is known as "moksha" which means liberation. In the Shramana tradition it is the state of being free from suffering. In the Hindu philosophy, it is union with the what is called "Brahman" which means the Supreme Being. Even the Bible mentions the process of enlightenment with the quote, "the Kingdom of Heaven lies within" (Luke 17:20-21). It is important to note there is a somewhat of a distinction between a state of Awakening and a state of Enlightenment. "Awakening is the state Buddha is in, where you are declutched from the mind yet the mind is still active, and enlightenment is where the mind then fades off. It comes after awakening. This is the State Lord Christ is in," Doug Bentley clarified. Enlightenment is a real and genuine human phenomenon that up until most recently had only manifested within a handful of people throughout the history of the Earth. We also now know consciousness itself has been proven to be transferrable process from one being to another in what is known as the "hundredth monkey effect". The 70,000 figure is also significant because it represents a spectacular accomplishment by the current population residing on the planet at this time. Never before in the entire history of the Earth have so many awakened beings walked the planet at the same time. And those numbers are going to rapidly increase, each and every month, until nearly every single person residing upon the planet will enter into an awakened or enlightened state of consciousness. Even more significant, these numbers clearly indicate human evolution is quantitatively speeding up beyond any other point in our collective experience. In fact, we may now be moving nearly two and a half times more powerfully than previously expected. This great momentum will be used to propel the entire planet into the long anticipated Golden Age, also known as the Satya Yuga or Sat Yuga in the Hindu traditions. What is most essential right now is to free the human race from centuries of economic slavery so each and every person on the planet can really begin to experience an environment where true spiritual evolution can fully flower. Imagine how quickly the world will evolve if the basic necessities of life can be met for everyone instead of spending most of our time eking out a living or scratching and clawing for the next meal as much of the Third World must do. This goal is highly doable now. Only ignorance and the false illusion of scarcity has prevented us from realizing there is a plentiful amount of food, clothing, shelter, medicine and energy for all. We must realize the world we live in is truly abundant beyond our wildest imagination. There is no such thing as limited supplies. It is nothing more than a big, fat lie we have all bought into. With each passing day, we come closer to the realization at any time now there will be the introduction of a new higher evolved economic system designed to benefit the entire world. Rest assured there are many wondrous, brave people –– many of them likely awakened too –– working diligently behind the scenes to make this a reality. China nearly ready to unveil gold-backed financial system. Surprisingly, the country of China has been a major player in this plan. 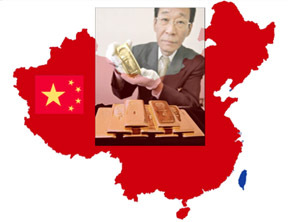 There is strong speculation the Chinese have been buying up all of the gold they can lay their hands on, then melting it down into one kilo bars, all in preparation for a new gold backed world-wide currency to be delivered sometime in the last quarter of 2012 which has the full support of many countries in the BRICS alliance. Once this new global, gold-backed financial system is ready to roll, the world will move even more quickly along the path of evolution as many, many deep-seated changes for the better within our societies, governments and corporations will begin to take root. It is possible, this new economic system could be quietly launched late on a Friday or a Saturday night when all the world's banks are closed, allowing enough time to bring it on board the following Monday as everyone will start anew at nearly the same time. Or perhaps there will be a world-wide banking a holiday before its implementation. Much is influx now and the elite powers who have owned the financial systems for eons are not giving in without a fight. The battles behind the scenes have been very fierce and many lives have been lost. Yet many within ranks of the elite are finally seeing the handwriting on the wall and are realizing their demise is sooner rather than later. The whole global financial crisis which began in 2007 has been completely engineered by the world's elite in an insanely vain attempt to stall the inevitable –– the awakening of the human race. Thankfully, it has all blown up in their faces and has helped fuel the rise of the Arab Spring; Occupy Wall Street; Anonymous; the Audit the Fed movement; the End the Fed movement; the Tea Party; the Ron Paul Revolution; the LIBOR scandal and much, much more. Oops –– so much for that dirty little trick! Meanwhile, several major steps have been implemented to completely take down the Federal Reserve in preparation for the new financial system. After passing overwhelmingly through the House of Representatives, the first ever audit of the Fed has been initiated and revealed some startling results when published on July 21, 2012. During the worst financial period in US history from December 2007 to June 2010, $16,000,000,000,000 ($16 trillion) in secret loans had been given out to US banks, private corporations and foreign banks everywhere from South Korea to Scotland. To put that figure in perspective, the US GNP (Gross National Product) is only $14.12 trillion. On top of that, these loans which the Fed terms as "all-inclusive loan programs", were issued at a 0% interest rate and virtually none have yet been paid back. In addition, the New York Fed is undergoing an audit itself to determine how much gold is actually stored in its vaults, however the results will not be revealed until the end of the year. Persistent rumors have suggested most of the gold at the NY Fed has been stolen and may have been replaced with gold-plated tungsten. Finally, one other noteworthy development regarding gold which is extremely significant. A new change to the accounting rules has been quietly instituted which will allow banks to recognize gold as money. All of these recent developments are proof positive the international banksters have lost their death grip on the world financial system and much bigger changes are imminent. You can take it to the bank! Combined, all of these factors can unilaterally be termed as exceptionally exciting news for the whole of the human race. We all owe a deep debt of gratitude to the awakened and enlightened people who are leading the charge for the rest of us to follow. With each passing week, the momentum generated by expanding consciousness will benefit us one and all. We are now witnessing so many real, tangible results giving us the decided confirmation a great shift for humanity is very, very rapidly unfolding. Ultimately, the most important factor of all is to obtain your own personal state of awakened consciousness. 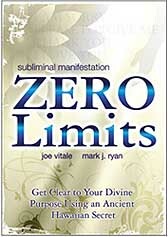 Once you are able to escape the prison of the mind and open yourself up to the unlimited possibilities of Divine consciousness –– where you become acutely aware of a connection with everyone and everything around you –– all suffering, conflict and problems simply fade away. This is not to suggest that miraculously overnight all of life's problems simply vanish once one becomes awakened or enlightened. Rather, what changes is your reaction to the problems and conflicts. Once you quiet the incessant chatter and clamor of the restless, weak mind and realize it is your major obstacle to your own personal happiness and fulfillment, it is possible to move beyond the highs and lows, pain and suffering of life –– forever! You are no longer enslaved by these lower consciousness thoughts and you can finally experience what true, genuine and unlimited freedom really is. As much as the Golden Age is about a transformation of the entire planet Earth, it is more precisely about a personal transformation within. And once this transformation is achieved, there is no turning back. As these latest figures from the Oneness University indicate, there is no turning back in the collective evolution of humanity. It is a done deal. It is guaranteed. We have won! In fact, all have won as there are no losers, only winners. The Golden Age is well underway, the Heaven on Earth is here, the new Earth is unfolding–– only now, much, much faster than was once forecasted. How sweet it is. Long live the Golden Age and the Age of Enlightenment. Scott Mowry will be back on the Medium in Our Midst radio show on Wednesday, September 12, 2012 at 7 PM EST / 4 PM PST with host Daria Justyn. Scott will be available for questions during the second half of the show. The call-in number is 646-378-1825. 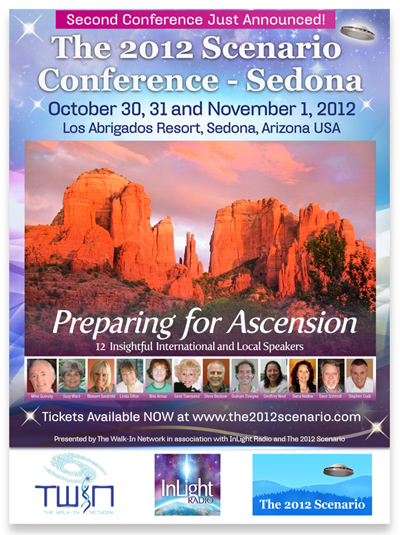 Will There Be a "Quantum Awakening" in December 2012? China Launching Gold Backed Worldwide Currency - Now the Americans will have to find a reason to go to war against China!! David Wilcock: OLYMPICS 2012: A Mithraic Illuminati Ritual?